In his sophomore high school year, Rohan’s parents had moved into a new house quite far from his school. He thought he had the route to his school memorized. Unfortunately, he ended up lost on his way home from school. Having no data plan, Rohan was forced to call for his parents and wait for quite a long time before his parents could pick him up at the corner. He wasn't expecting this, since he used wifi everywhere. This summer, Sritam and his family traveled to India for quick vacation. Unfortunately, his parents were travelling through the rural areas when they realized that they were lost. Communicating with the locals was quite trying, as most of them did not speak english. Instead, they had to call a couple of their friends to help them out. When they came over to Sritam and his family after quite a few hours, it turned out that they took the wrong turn. Rohan and Sritam sought to find a solution to these problems at Hack the Planet. The Android app also generates the latitude and longitude of the user which doesn't require wifi. The app sends over the latitude and longitude and address of destination to the server. The server, which runs on AWS, is a flask application that runs on python. 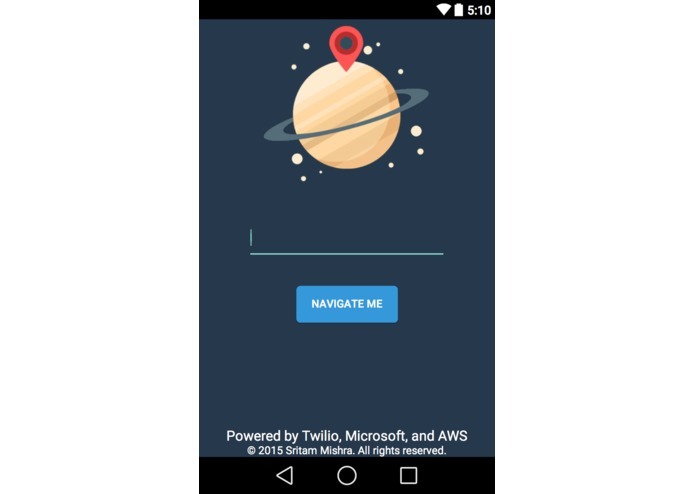 It uses Bing API, Google Direction API, and Twilio API to help generate the information and direction that it will send to the server. The server also calculates the Vincenty distance between the two points. 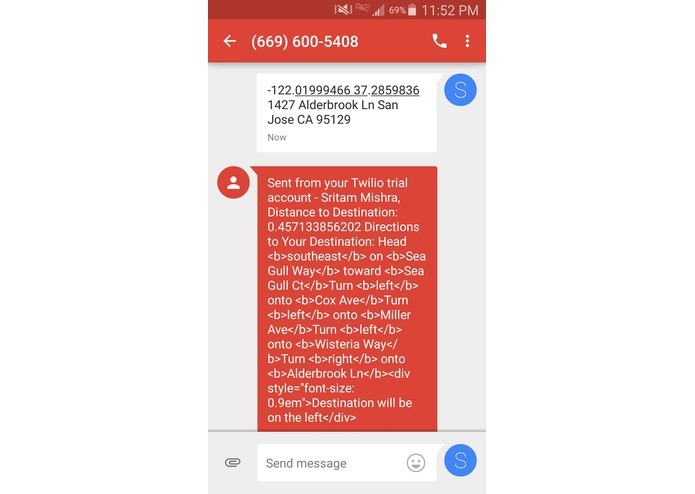 The server sends a text through twilio to the user with: 1.Vincenty Distance 2.The Directions to their Destination - The directions have HTML tags on them. Due to the time constraint of the hackathon, we weren’t able to fix it. But it gives the directions, which was the main purpose of this hack. Anyways, they're mostly just bold tags. As high school students, we struggled with getting the flask app to connect to Twilio. But we got it working anyways. We also had some problems with AWS, but the mentors were helpful in getting our server deployed on Amazon Beanstalk. We are extremely proud of the fact that our project works and that the user doesn't need wifi or a data plan. 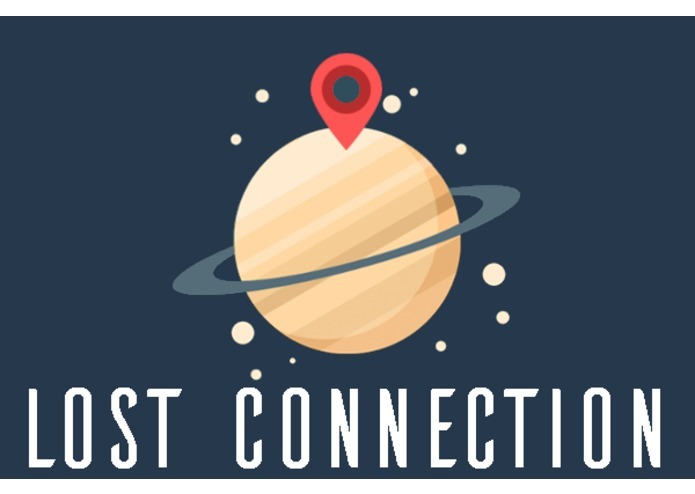 We believe that this project could help people in developing countries where people don't spend much money on data or don't have wifi in many places. We learned a lot especially twilio API and how to use Amazon web services. This can hack ride as well. With the assurance that they will not get lost whether they have wifi or not, users will be more tempted to ride farther and hopefully with motorcycles. If this project gathers enough support, this will encourage us to build it into a startup. I worked on the backend and android app. I worked on some of the backend and learned to integrate APIs. Here is the link on Google Play!